After sitting for an extended period of time and getting up, have you ever felt lightheaded or dizzy even if for a few seconds? A new study is showing that this may be indicative of a major problem. Data is showing that this indicates a problem that is taking place in the nervous system that is responsible for regulating blood flow that controls the amount of oxygen getting to every part of the body, especially the brain. Not only is this related to neurological dysfunction, but it may also be a predictor of other serious conditions such as Parkinson’s disease and even premature death. Typically this type of symptom would be classified under the diagnosis of vertigo. 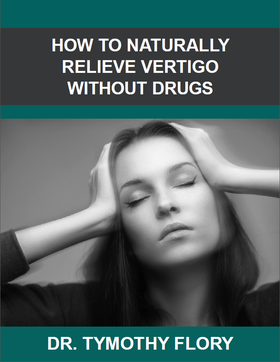 The statistics on vertigo show that vertigo happens in 5-10% of people and jumps to 40% if older than 40, and vertigo accounts for 2.5% of all emergency room visits from 1995-2004.1 There is no known singular cause of Vertigo; however, it is known what parts of the body are affected. There is a system in the body that regulates orientation and balance known as the Vestibular System.2 This is a small part of the Central Nervous System (CNS) that is composed of the brain and spinal cord. The middle ear contains fluid and crystals that communicate to the CNS and brain that can get distorted causing vertigo symptoms. Many patients struggling with vertigo are just trying to make it through the week without symptoms. Vertigo specialist, Dr. Tymothy Flory, is helping patients get natural relief from vertigo in Upland, California. Dr Flory is an Upper Cervical Chiropractor that focuses on the Atlas Bone (C1 vertebra). The Atlas bone can have a profound effect on balance issues if it is misaligned as it is connected to the Eustachian tube in the ear. When the Atlas is out of its normal position, it can distort the normal function of the ear as it relates to balance. Once the Atlas is restored, the communication between the inner ear, brain, and body can return to normal, and vertigo symptoms often resolve naturally in time. Voron, Stephen. “The Vestibular System”. University of Utah School of Medicine.